Goodall Homes is happy to report more exciting news about the upturn of the housing market. Middle Tennessee home sales had their best March showing in six years, extending a nearly two-year streak of year-over-year gains and feeding a 23 percent rise in first-quarter sales from 2012. Check out the following link to the recent article published in The Tennessean. 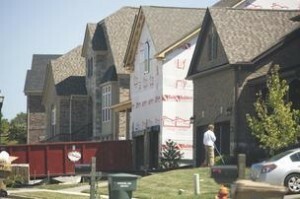 "Middle TN's March Home Sales Best in 6 Years"